The final event on the 2018 national schedule for the PGA of Canada gets underway this week at The WigWam in Litchfield, Arizona. Among the 2018 field is the defending champion, John Cochrane. 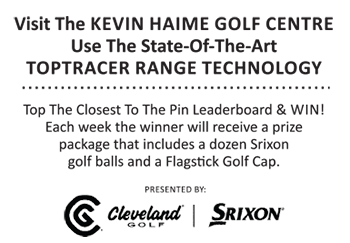 In 2017 the 56 year-old won by two strokes at TPC Eagle Trace in Florida over Brian Hadley and Jeff Mills. Other past champions set to play in Arizona are Danny King, fresh off playing in the finals of PGA TOUR Champions qualifying, and Benoit Boudreau. They will be joined by past PGA of Canada National event winners Dave Levesque, Eric Laporte. Phil Jonas, Marc Girouard, and Matt Palsenberg. Former PGA TOUR winner Ian Leggatt is also among the entrants. “We’re very excited to be headed back to Arizona and even more excited to be going to the Gold Course at The Wigwam for the PGA Head Professional Championship of Canada,” said PGA of Canada president Mark Patterson.